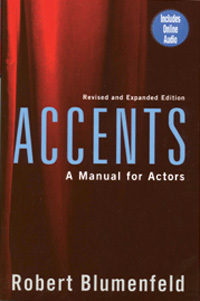 Accents has established itself as the most useful and comprehensive guide to accents available. This practical reference manual, with its precise, authentic instructions on how to speak in more than 100 dialects, offers exercises for the complete mastery of the accents exhibited. The book is enhanced with an accompanying online resource where the author performs these exercises, allowing you to hear what you must do with your voice and enunciation to produce the required sounds. Certain basic principles for learning accents are explained in the opening section of the book, which lays the groundwork for everything that follows. Read more...From there, we begin with our mother tongue: regional dialects in the US from Down Home Maine to Pacific Northwest and British accents from Standard Upper Class to Cockney. Next come European accents, followed by accents of the Middle East, Africa, and Asia.